You’ve done it! That’s another week done and dusted! Now it’s time to celebrate the arrival of the weekend with a compilation of the best and worst video game news reported throughout September 14-20. This is Fails and Feels, our weekly series that aims to get you all caught up on the gaming going-ons! Now, let’s first take a gander at those fails! If you were hoping that the next Halo game was going to avoid becoming infested with microtransactions, you’ll be disappointed to learn that, in addition to the $60 entry fee, players will also be teased with in-game purchases. This information has been learned through a Halo Infinite job listing. 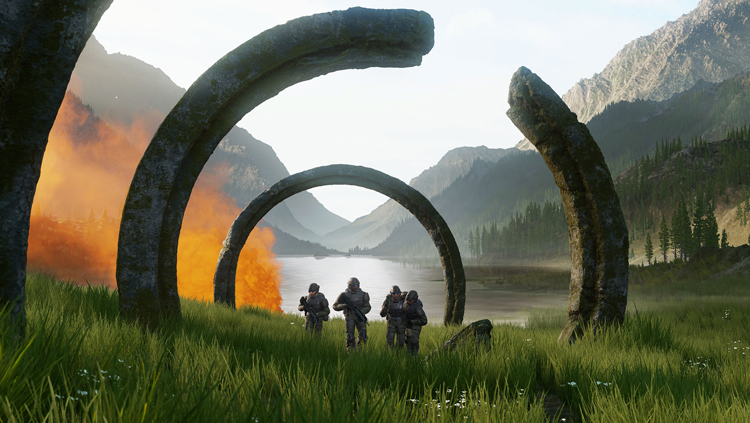 The exact details on just how bad Halo Infinite‘s microtransactions will be aren’t yet known, but the game is focusing on becoming a “service,” which usually means multiple digital expansions and smaller pieces of downloadable content. Here’s hoping developer 343 doesn’t let things get too out of hand. Halo fans like myself are craving a new game, and would hate for greed to ruin it! 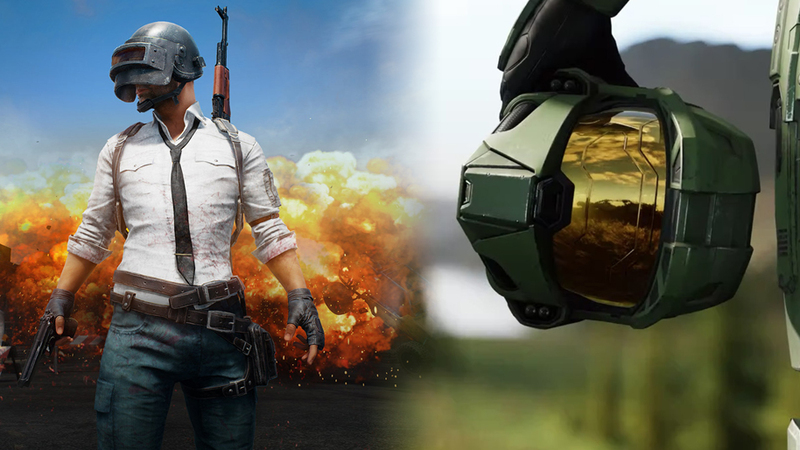 With performance issues plaguing even the souped-up Xbox One X version of PUBG, the developers have issued a hotfix as a temporary solution to the problem. This fix tweaks the game’s graphical settings to lower shadow quality, less motion blur, a reduction in other post-processing effects, and more. Basically, the game is going to look a hell of a lot worse than it used to, even on that “4K machine.” Here’s hoping that a proper solution is found quickly, as having an already meh-looking game appearing even worse isn’t very good… On the bright side, those of you complaining about frame-rate issues, and other hiccups, should hopefully start to see some improvements. We’ve had a range of tiny Nintendo mini consoles releasing to extreme enthusiasm from fans, and now Sony is trying its luck with a mini PlayStation. 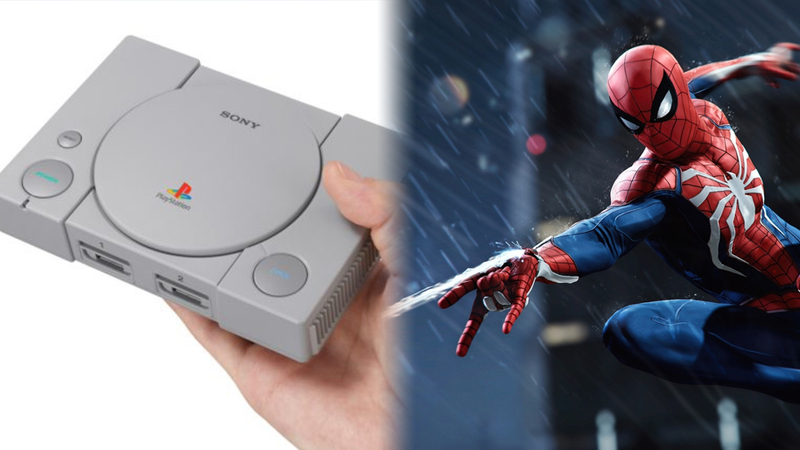 The PlayStation Classic is 45 percent smaller than the original PlayStation, and comes equipped with a HDMI port for those modern TVs of ours. Also bundled are two controllers, inspired by the original non-DualShock pads. It’s scheduled to launch on December 3 for $99.99, and comes with 20 games pre-installed. We’re still awaiting the full list of games, with only Tekken 3, Final Fantasy VII, Jumping Flash, Wild Arms, and Ridge Racer Type 4 confirmed so far. Sure, we all knew that Spider-Man PS4 was going to do well. As soon as we saw the epic E3 trailer, it was clear that this game was going to be special. Combine that with the Marvel Cinematic Universe movie hype, and you have a recipe for success. However, did anyone really expect this level of success? Spider-Man PS4 has achieved record-breaking sales for 2018, selling a whopping 3.3 million copies in its first three days. This took down even the mighty God of War, which previously wore the crown for 3.1 million copies. This is an epic achievement for a game that is exclusive to PS4! If a weaksauce internet connection has been keeping you from enjoying the PlayStation Now service, then Sony finally has some good news for you! What was once solely a streaming service that demanded a fast internet connection, is now allowing downloads for offline play. PS Now subscribers on PS4 will be able to download PS2 and PS4 games and play them at a later date. This could finally be the answer to the PS4’s lack of backward compatibility!